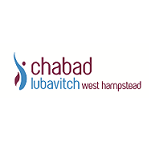 established Chabad of West Hampstead. background, affiliation or financial status. with Ahavat Yisrael and unconditional love. education, pride, knowledge, practice and commitment. Home” for all Jews in a warm and friendly environment. According to our research this influx also includes many Jewish young professionals and families who wish to live in an up-and-coming location that has good commuting possibilities to central London. There are three synagogues in West Hampstead, a kosher fast food place, and a JCC opened in September 2013. Generally speaking there is a buzz in the air and a feeling that NW6 is becoming more of a Jewish area.